The commercial infrastructure in Gurgaon is fast developing. A number of blue-chip companies have come up in the city. 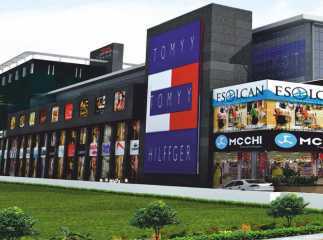 As a result, the demand for Commercial shop in Sector 51 Gurgaon is one the rise. Investors from various parts of the country are looking for quality homes in Gurgaon. If you are willing to buy luxurious apartments in the area, you can choose from a number of options. The reputed developers have come up with several estates in the region. Homeowners can buy 2, 3 and 4 BHK apartments in the area and live up to their housing dreams. The projects in sector 51 Gurgaon are noted for their location advantages. The transportation system in the city is well-developed. You can reach the important places around the city in quick time. The social infrastructure in Gurgaon is well-developed and the residents will love the lifestyle here. The residential complexes come with a wide range of luxury amenities. These include swimming pool, gym, jogging tracks, cycling tracks, meditation centre, and various indoor and outdoor games. Dedicated play areas have been developed for the children in the complex. The prices of properties in the area are rising. Investors and homeowners willing to buy property in sector 51 Gurgaon should make their investment now. Enjoy classy homes in Gurgaon with green living facilities.